Rated 5 out of 5 by centauri272 from Loved it! Just missed a map... Crips graphics, Interesting story. The puzzles range from easy to quite challenging. The only big problem for me was that there is no map. I often got lost, and you could hear me scream at my monitor... But still, I enjoyed it a lot. Rated 5 out of 5 by pedroG4mac from genius teamwork release I devote plenty of hours to big fish games, this one kept me from seeking relief or distraction, and let me sense the connection between the locations. Exploring the rooms filled with challenging yet logical puzzles, great artwork, I used just one hint. I skipped no puzzles. Thank you to the team for this experience. Rated 5 out of 5 by alphafem from HELLO?? *tapping monitor* ARE YOU OUT THERE?? At long last, I'm not alone any more! Hiya! This game was made in 2013...and even by 2017 standards it is good! The storyline has been reviewed to death, so I'll skip to the chase. The HOP's were done well. Beautiful artwork, and clever. Not so easy as to make them a total yawn. The mini-games were unique, and most took some time and mental consideration...but not so much that you will pull your hair out if you are a challenge lover. Did I have to go to the Walkthrough once or twice? Yes I did. Did I also have to avail myself of the Forum once or twice? Yes, that also. But...that added to the Challenge and my interest. The cursor was a little on the quirky side. Put the TIP where you want the action to occur, and you will have no problems. Please give this game a try. It builds interest as you go. Also, if you love a challenge, in addition to the game listed to the left, here is one you might like: "True Fear: Forsaken Souls" As always, try before you buy. Do what makes you happy! Rated 5 out of 5 by charlene_lane from FABULOUS ON EVERY LEVEL REVIEW OF COMPLETED GAME This has got to be the longest game I've every played - it just kept going and going - no complaints there. Many hours of fun. You have Casual, Normal and Expert modes of play and a Diary. However, there are no voiceovers or interactive map. The graphics are pretty good and you will be able to find items easily. The music is orchestral, piano and chanting which plays quietly in the background. Its on a loop but the music is lovely. 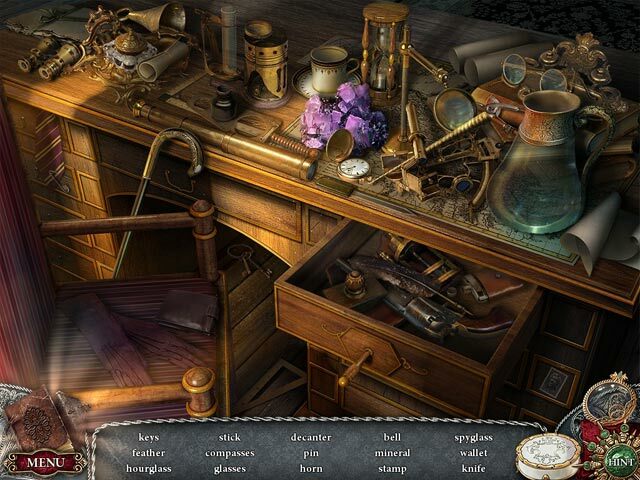 The hidden object games are slightly interactive straightforward and silhouette which you will mainly do twice. Items are clear to find and each one takes about 5 minutes or so. There are a huge variety of mini-games to play which are quite challenging. I spent many hours nutting these out and I was in heaven. Some are easier to do than others, but if you love a challenge like I do, then you are in for a treat. There were some mini-games I hadn't seen before and I really enjoyed doing them. You have a medallion at the bottom right hand side of your screen which glows when you need to use it. You will use this to help you find items in various places. Make sure you check your diary often as there is a lot of information in there to help you move forward. Now, there are a lot of locations to visit and there is no interactive map, so you will need to rely on your memory. In all honesty I didn't have any problem with this and it is quite easy to remember where tasks are to do. There is a lot to do in this game and you will never be bored. I think the developers did a terrific job and I didn't want it to end. I honestly don't know how long it took me to complete the game - so many hours that I lost count - so good bang for your buck. Overall, I think you will be pleasantly surprised with this game. The story line is easy to follow, there are great complex mini-games and plenty of places to visit. Happy playing fishies - this is a gem. I'm now going to buy 'Timeless - The Forgotten Town' CE. I love this developer. Rated 5 out of 5 by SparkleGlow100 from 5* x 100 Wow, wow, WOW!… I thought after reading some of the reviews that this might not be so good, especially because of its age, but I found it to be artistic, detailed, and deeply relaxing… I could hardly believe the wonder of the first few scenes! The artwork is ornate, antique and medieval. The music is instrumental / classical and beautiful. The story was constantly moving The content of the story is pretty dark in nature, with dark magic etc. but the story has a positive outcome. There weren't that many hidden object scenes. The puzzles were varying in difficulty and some were very difficult, but there was always the skip button. There are no voices, if that’s important to you. The sound effects in general were done extremely well and created the correct ambiance. The game is pretty difficult but the hint button will guide you to look more in a certain location, at a very specific area, but it won’t circle the item it wants you to find. The inventory gets pretty loaded up at times; at one time I counted 14 items in there. Also the inventory doesn’t stay locked. There’s no map, but your journal stores all your important clues etc. If you want lots of help, you’ll have to find a walkthrough. Even though it didn’t fill the whole screen, honestly it didn’t matter, because the graphics were bright, clear and very detailed. Awesome game. Rated 5 out of 5 by 9otters from A Rare Treat Of An ADVENTURE Game! 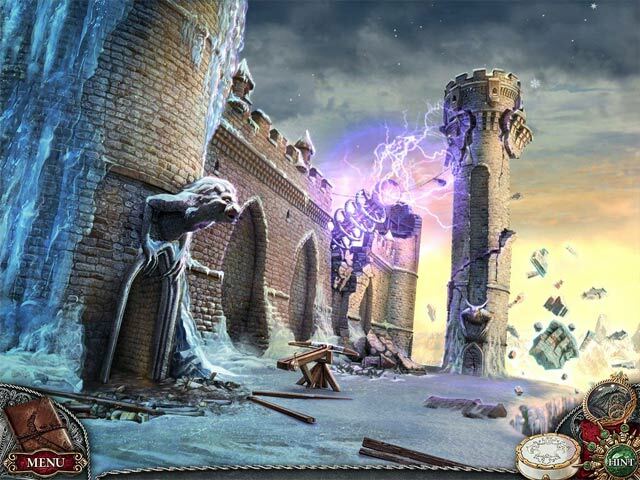 Based On Completed Game Playing Subliminal Realms: the Masterpiece CE, reminded me of how much I have enjoyed this Devs games, so I re-played Timeless: The Lost Castle. It really is one of my all-time favorite adventure games. I got it in 2013 and it plays better than many games from 2015. The story can be found on the game page, and even though this isn't a game that "holds your hand", the game review ratings are at 83%. Unlike many adventure games, "Timeless" is chock-full of things to do besides roaming and searching. For me, the best part is all of the ORIGINAL mini-games and puzzles. 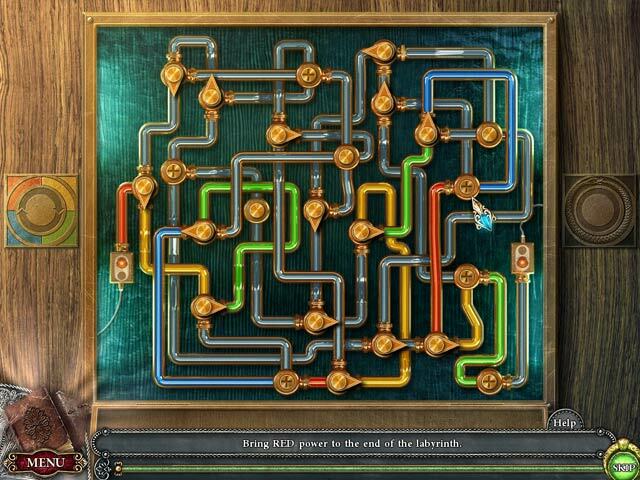 Even familiar puzzles are presented with little twists that make them better and, perhaps, a little more difficult. HOPs are also part of this game. You will need to stay on your toes and be on the look-out for clues and needed items that can be easy to miss. Because there is NO map, there is the adventure game aspect of running back and forth, but I never found it to be excessive. There IS a journal that is essential, because that is where you will find all the important clues that you have discovered in your search. There may be times you'll have to search back a fair few pages to find the clue you're after. Don't forget to look in the Forums for game help and other info not found on these review pages. You'll find it in the upper right-hand corner of this page, above the game video. Click on "Get game tips". 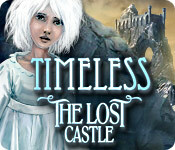 Timeless: The Lost Castle is truly timeless. For me, this isn't an "easy" game, but the fun factor is off the charts. If you like adventure gaming, puzzles and mini-games that require some thought, and GAMEPLAY that requires some thought, you'll find MANY hours of satisfaction here. Hope YOU find some fun today! Happy gaming! Rated 5 out of 5 by smilingsun72 from Challenging game! Fantastic story! Absolutely recommend as a must have! This is one of those games that is worth buying. I absolutely enjoyed every bit of what I played. I play through on casual mode the first time( and I found the the puzzles challenging, which was stupendous.) I was amazed by the variety of puzzles I encountered, which really balanced out the HOs. All objects (even the ones I toted around for a while) in my inventory fit well with the theme. The art work was beautiful and the music great. I know I will return to play this game from time to time. It's one of those that just might be a classic! Rated 5 out of 5 by cinnamon046 from A great game that is fun, challenging and doesn't end in a day I started with BFGs with the Mystery Case Files games. Loved the Ravenhurst, Madame Fate etc. Not to fussy about the newer ones(Dire Grove and on..) This game, like to many I purchase, doesn't end in two days(or worse, in one) It makes me think and I got a lot of play time. Really like this game. Just wish it had a better story line. They are almost all the same story about the supernatural, can't anyone think up a better story line? Anyways, I don't write a lot of reviews(as you can probably tell), but I felt this one was worth it. Enjoy!